We had a few days recently that were much cooler than usual. Lots of rain, too. Even though it’s August, the weather was just screaming for comfort food. So, off I went to find a new recipe to try. 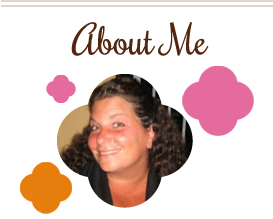 Katie from So Tasty, So Yummy has a few recipes I’ve had my eye on for a while. One of them is this great Peruvian dish that was very easy to make, and it hit the spot as far as being comforting. We really enjoyed it. The one change that I’d make next time is to use stew meat instead of flank steak. It would hold up just fine with this marinade, plus it’s a lot cheaper! Also, I didn’t even bother with the rice…the potatoes were enough for us (I made a few extra). We’ll definitely keep this in mind once the weather gets cooler! Cut beef into strips. Combine soy sauce, balsamic vinegar, lime juice, garlic powder, and pepper in a medium bowl, then add beef. Allow the beef to marinate for at least 30 minutes, stirring occasionally. Meanwhile, preheat oven to 350 degrees. Cut the potatoes into small pieces and toss in one tablespoon of oil, salt and pepper. Spread potatoes in a single layer on a baking sheet and bake until golden brown, about 30 minutes. Sauté tomatoes and onion over medium high heat in one tablespoon of oil, until tomatoes start breaking down and onions are translucent. Add beef mixture, including marinade. Turn heat down to medium low and let mixture cook for 15 minutes, stirring occasionally, until sauce reduces and thickens. Remove from heat and let sit for 10 minutes. 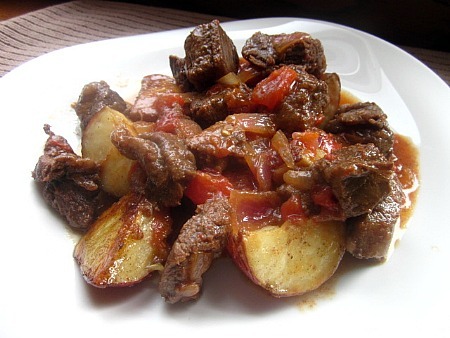 Combine the cooked potatoes and beef mixture and serve immediately. This entry was posted in beef, lime, main dishes, make ahead, potatoes. Bookmark the permalink. It looks so good. That would definitely qualify as comfort food on a rainy day! The carb lover in my had to have both potatoes and rice. I am going to try it with stew beef, great tip. This looks like a fantastic evening meal.